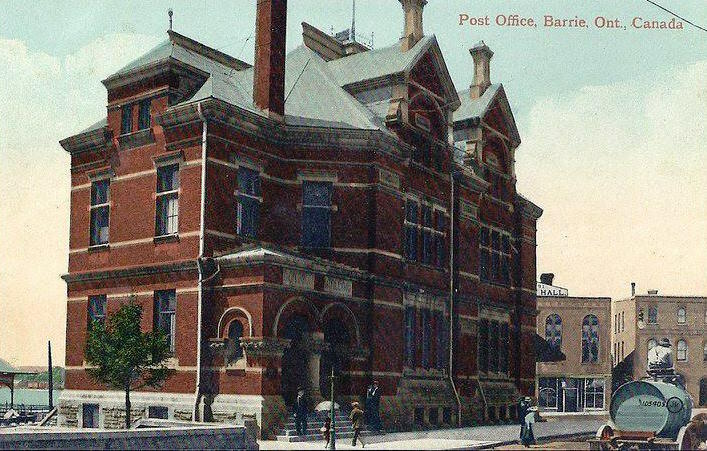 The Post Office was located where Memorial Square is today, on Dunlop Street at the foot of Owen Street. Home/The Post Office was located where Memorial Square is today, on Dunlop Street at the foot of Owen Street. Tags: Dunlop Street, Memorial Square, Owen Street, Post Office, Postcard.